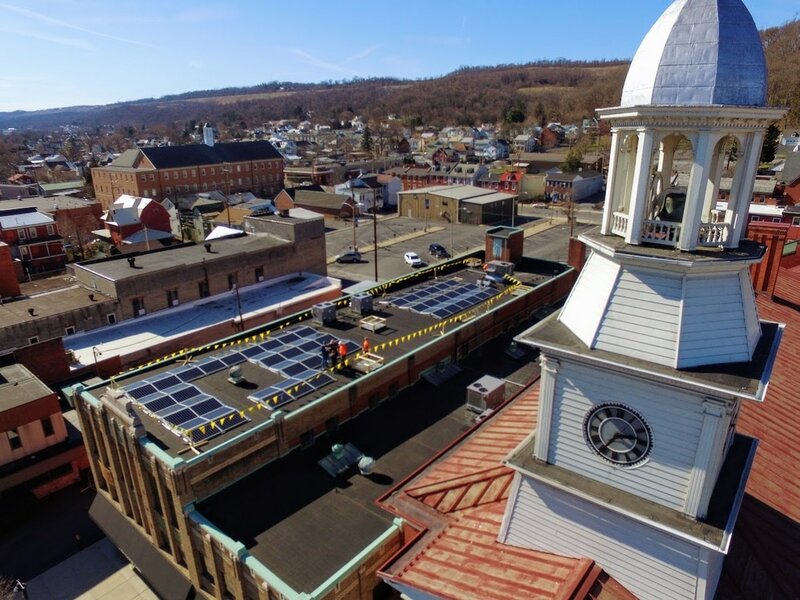 April 20, 2017 -- To demonstrate a commitment to sustainability and reduce energy costs, Monument Square Center, LLC celebrated completion of a new high-efficiency solar photovoltaic (PV) system at 3 West Monument Square in Lewistown. The 29-kilowatt SunPower® Helix™ solar energy system will generate enough electricity equivalent to powering almost three average homes annually. 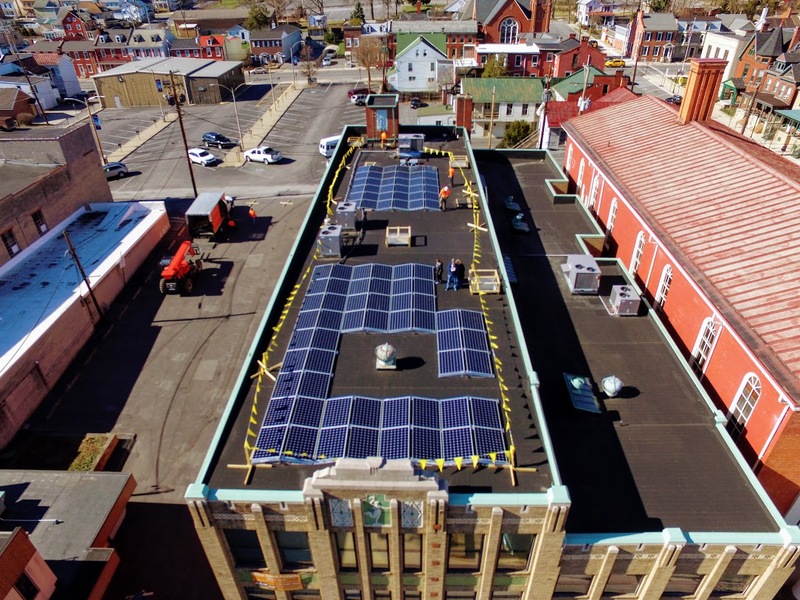 The system is expected to produce 33,000 kilowatt-hours (kWh) of clean, solar energy in its first year of operation, which is approximately 30 percent of the total electricity used at Monument Square Center. 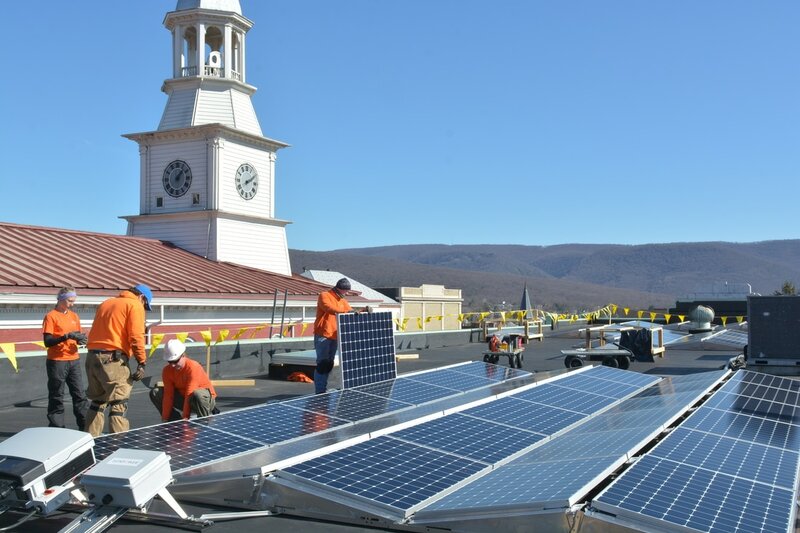 Over 25 years, the Monument Square Center SunPower® solar energy system is expected to produce enough energy to offset more than 700 tons of carbon dioxide, which is the equivalent to planting 17,000 trees, or saving 72,000 gallons of gasoline. 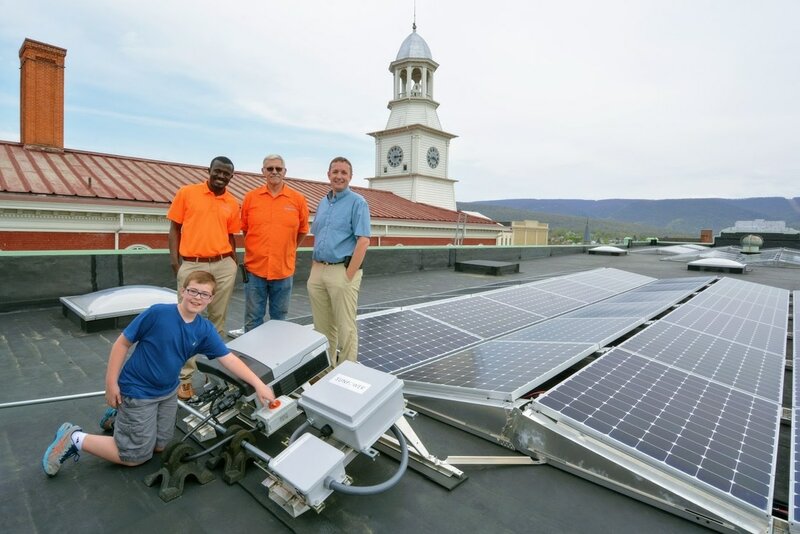 Installation of the solar electric system was completed by Sun Directed, a residential and commercial solar energy installer located in Bellefonte, Pennsylvania. As an authorized SunPower® dealer, Sun Directed installs the highest efficiency solar panels available on the market today for homes, farms and businesses. The meter and major electrical work was completed by Robert P. Lepley, Electrical Contractor.